It can be so hot here that sometimes I don’t feel like wearing makeup. But on the days I do muster up some energy to put it on this would be my go to face. YSL Touche Eclat Foundation – Love this!! It is a medium coverage foundation which is perfect for the summer. Plus it doesn’t stick my dry patches! It comes in a great range of colors and lasts through the work day. I truly love this and reach for it often. 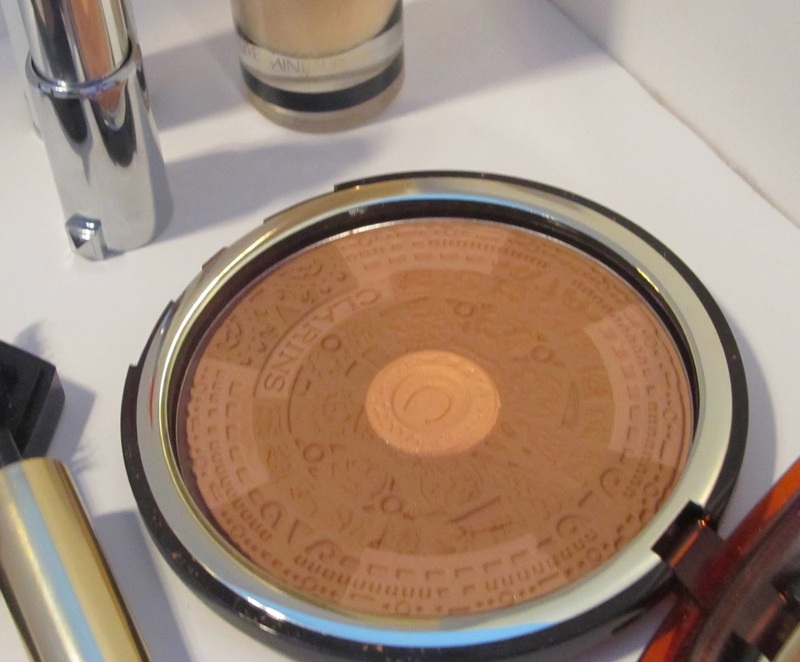 Clarins Splendours Summer Bronzing Compact – I have to say the packaging and design is what drew me to this bronzer! 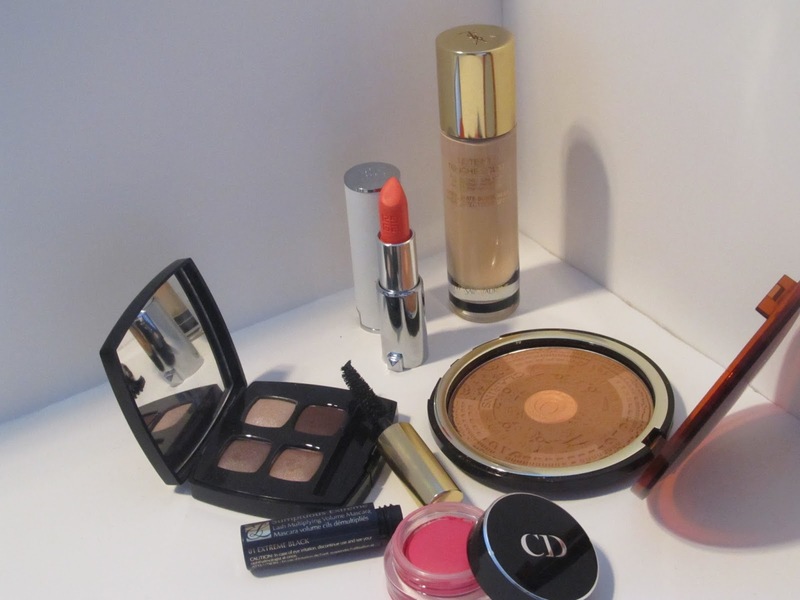 I have to say Clarins truly has some great designs for their bronzers. I love just lightly dusting this on my face with a big fluffy brush. It makes me look sun kissed. 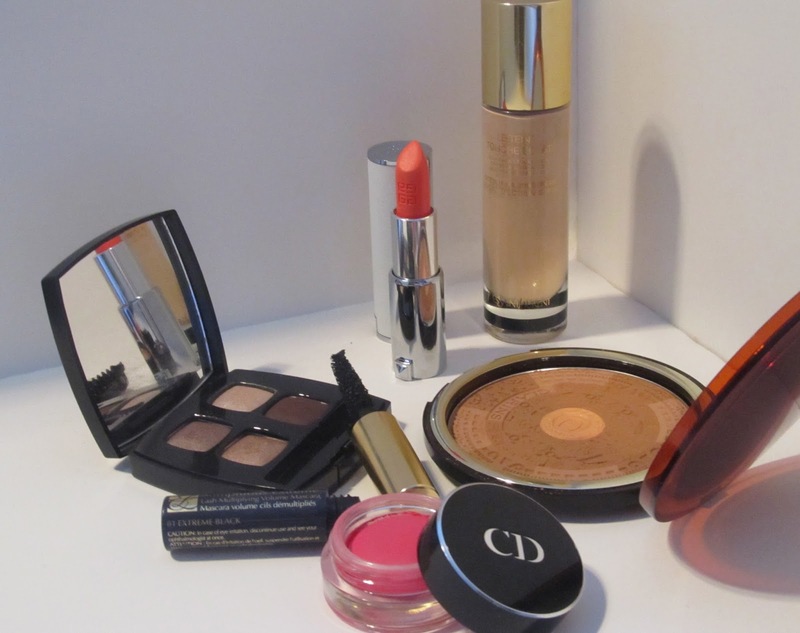 Dior Cheek Creme in Pareo – This is the best creme blush in my opinion. It is more like a creme to powder, but it is not too powdery. It gives me the perfect flush and lasts at least half the day. 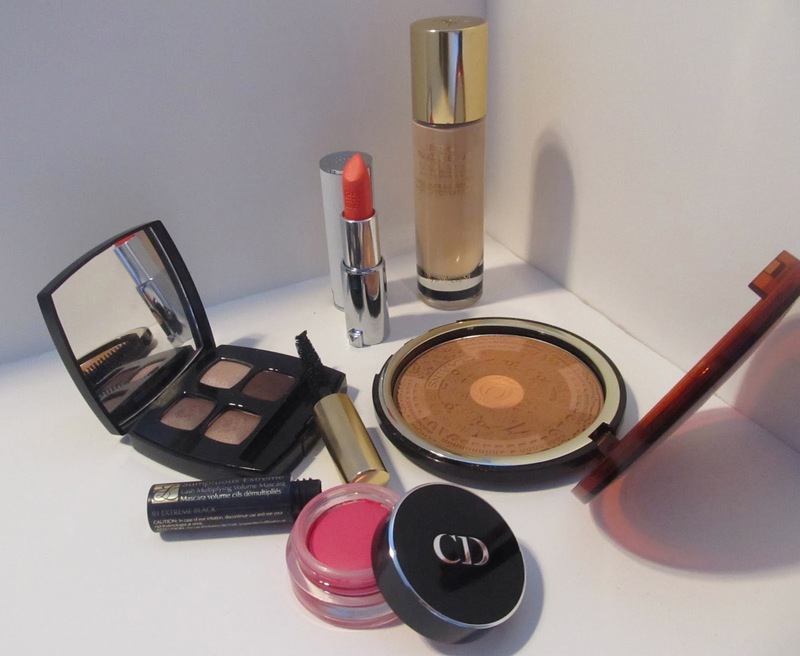 Chanel Les 4 Ombres in Raffinement – I love love love Chanel makeup. It makes me feel so glamourous. There quads though can be hit or miss. This one though is a huge hit. It has beautiful, rich brown shades that make my blue eyes pop. Estee Lauder Sumptuous Extreme Mascara – This makes my lashes look like I have falsies on! And it does not flake or smudge! That is a huge plus in my book. It also layers well with other mascaras. Givenchy Le Rouge in Croisiere Coral – This is hands down my lipstick for the summer! I am truly not a huge lipstick person (funny cause I have at least 100 of them) but, I love this lipstick. The formulation is moisturizing and the packaging is so sleek. What is your go to summer face??? In other news I became a VIB Rouge today at Sephora. If you know what that is, then you know it means I spend way to much of my pay check there. Anywho, I will show you what I picked up soon. I need to test them out first, so I can let you know how good they are. But I am thinking I will be heading back for more shades! Next Post What an Anarchist!